From a struggling department store chain trying to get back on track to the leading maker of Windows-fueled smartphones showing off its latest products, here are some of the things that will help shape the week that lies ahead on Wall Street. The new trading week kicks off with more than 200 companies announcing their latest quarterly results on Monday. We're getting to the end of earnings season, and this is the last major week of results. One company to watch is Rackspace (RAX). The provider of cloud-based hosting solutions serves more than 300,000 business customers from its growing fleet of data centers. Analysts see top- and bottom-line growth in the low double digits, and that means it's still moving in the right direction in an otherwise competitive market. Ice cream parlors generally offer free samples -- on tiny spoons, of course -- but once a year the leading chains tend to hand over entire servings at no charge. Tuesday afternoon will be Haagen-Dazs' turn to man the scoop. Head out to a participating location between 4 p.m. and 8 p.m. on Tuesday for a complimentary cone. Don't be surprised if there's a line: Haagen-Dazs handed out 280,000 free cones during last year's event. 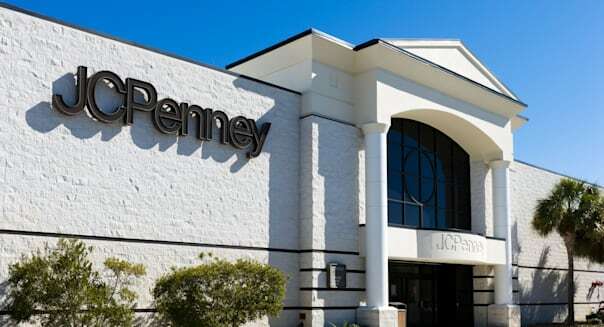 It hasn't been an easy turnaround for J.C. Penney (JCP). The iconic department store chain is still reeling from an ill-advised makeover in 2012 that alienated loyal customers and failed to replace them with new ones. The retailer reports on Wednesday afternoon, and it's expected to be another quarterly loss, but Wall Street does see slight year-over-year improvement in sales. That's a start, but it will take a lot of forward steps before the chain's sales approach what it was generating before the makeover. Nokia (NOK) will host a media event in London on Thursday, updating its Lumia line of Windows phones. Now, it's no secret that Microsoft (MSFT) was late to enter the smartphone game. We live in a world where Androids and iPhones dominate the marketplace. Microsoft's partnership with Nokia for Lumia phones has been a rare success story outside of the two leading mobile operating systems, but can Lumia take things to a new level and grab more than just a sliver of the market? Will Lumia raise the bar? Will we ever be getting Lumia tablets? We'll have to wait until Thursday to see what's next in the Lumia line. The week closes out with hhgregg (HGG) posting quarterly results. It's been rough for consumer electronics retailers in general, but hhgregg's emphasis on appliances -- a move that paid off nicely when the housing market bounced back -- isn't enough anymore. Analysts see another quarterly deficit out of hhgregg, with sales declining slightly from the prior year's quarter. It would be the chain's fifth consecutive quarterly loss. Motley Fool contributor Rick Munarriz has no position in any stocks mentioned. The Motley Fool recommends Rackspace Hosting. Try any of our Foolish newsletter services free for 30 days. Is your portfolio ready for what this year has to offer? Click here to check out our free report for one great stock to buy for 2015 and beyond.